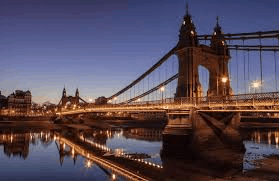 If you’ve spent any time driving in west London you’ll have experienced the various warnings about the state of Hammersmith Bridge. The frequent school holiday closures, the random repairs and the cue of buses waiting to cross as TfL belatedly tried to lessen the crippling weight loads on the bridge. And if you’ve walked under the creaking bridge along the Thames Path, you’ll have wondered how the iconic bridge is still standing. 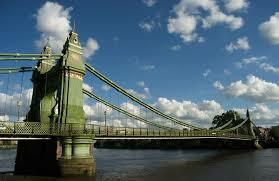 Well, Hammersmith & Fulham Council has finally called time on the bridge after finding a ‘critical’ structural fault. It’s presumably critical enough to potentially endanger the public. Now it’s up to TfL to finally raise the money to repair it once and for all – estimated to be a cool £40million. The council rightly points to the £43million which was wasted on the failed Garden Bridge folly. And also points out that TfL has suffered an £800million cut to its budget from central government and has had to pay for the refurbishment of Albert Bridge and Putney Bridge in recent years. Motorists are hoping the works can be funded and sorted as soon as possible. While cyclists, runners and walkers alike are hoping it becomes the ‘green’ bridge that the garden could never produce.